Insert penny in the slot on the top right side. Turn the handle at the bottom centre of the machine to start the wheel spinning. If the wheel stops with the arrow pointing at 'Pound', 9d is returned; 'Dollar', 6d is returned and 'Franc', 3d is returned. 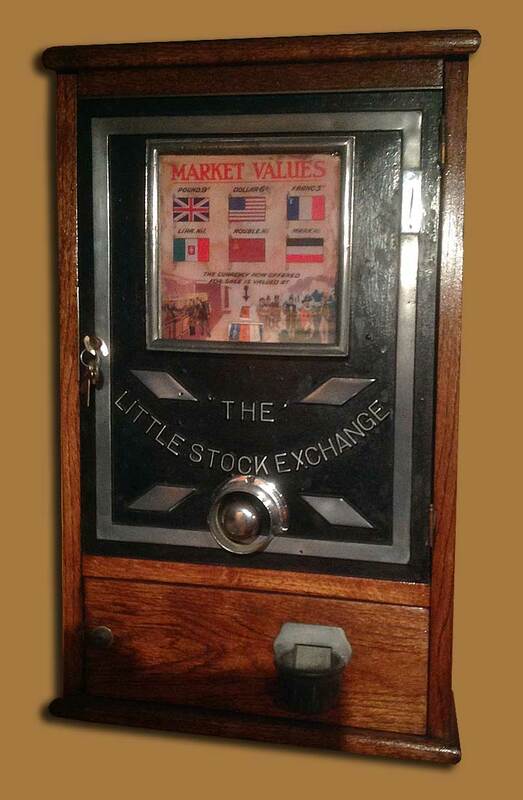 Please note: another penny must be inserted into the machine to get your winnings (it was a way to get around gambling laws in the 1930s).